Sub-specialties: Rhinoplasty (cosmetic and medical), otoplasty (ear surgery), blepharoplasty (eyelid surgery), treatments, cheek and chin augmentation, abdominoplasty (tummy tuck), breast surgery, liposuction, reconstructive burn surgery, cleft lip and palate repair. Dr Ramezani received his Doctor of Medicine degree from Tehran University of Medical Sciences in 1998. He later managed to complete a fellowship in plastic and cosmetic surgery. 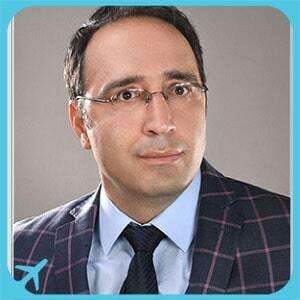 Dr Ramezani is currently based in Mashhad, Iran, where he runs his own private office to visit patients, performing his operations in a few hospitals in Mashhad, including Mehregan Hospital and Armaghan Hospital.